Many assume that it is just bad odds that make the dream impossible, even worse, that the assumption that being a change-the-world business visionary is pre-ordained. And if that’s what they believe, then why should they bother trying what seems totally impossible. So, they simply miss out. Many people start out dreaming of being business visionaries, and changing the world, as with Thomas Edison, Alexander Graham Bell, Bill Gates, Steve Jobs and Jack Ma. However, the odds of being the one, or one of the very few, to do so is daunting. It is possible to be a business visionary who doesn’t change the world but who changes a piece of the world, a piece that is important to the visionary and likely many others. As evidence of that, I submit the fascinating stories of highly successful business people, who did not change the world but who did change a piece of it and in many cases impacted the lives of large numbers of people and most certainly improved their own. Moreover, I submit that the skills to do so are learnable and that I can teach them to you. To do so, I have developed five elements of vision, which I teach through the stories of people who have already used them to become visionaries. I also explain certain barriers that prevent such achievement and then teach you how to recognize and avoid those barriers. When Fred Smith founded Federal Express, he borrowed one central vision and did not perceive the vision most usually ascribed to him. Of greatest value to you is understanding how Fred Smith finally got his visions. I also teach you how to form and frame your visionary goals. Having visions of what will be 30 plus years out may seem more exotic than those that will occur 2 or 3 years out. But in reality, and especially in a world where change is occurring more rapidly than ever before, the shorter term vision may prove far more valuable. For example, it did indeed take several decades for Ross Perot’s vision of Software as a Service (SaaS) to take hold. However, its first impact was actually rather immediate. Today, his early vision of SaaS is a $250-billion industry. I will also teach you how to increase the scope, dimension and duration of your business vision, through multi-dimensionalism — the art of combining two or more unrelated disciplines, such as computer and genetics, satellites and automobiles, and cellular communications and weather prediction. When Kay Koplovitz had her vision, she had to go back for a Master’s degree in a new area of science, to supplement her single dimension vision of the television industry. Lastly, I will also teach you how to break the shirtsleeves-to-shirtsleeves in 3 generations curse afflicting 90% of family business. The Wertheimer family started with a simple vision. It enabled him and later his son to develop a business worth multi-billions of dollars. When the third generation showed no interest in running it, they adopted a new vision that enhanced the value of the original vision, enabling them to sell the company to another visionary, known as the “Oracle of Omaha”, Warren Buffett. After this course, I hope you have the faith to become a role model to future generations, aim to create new jobs, be in a position to help important causes, and become a true pillar of society by becoming a successful business visionary. This course is available in both Chinese and English. Click on the figure below to see the other version. Lloyd E. Shefsky received his J.D. from the University of Chicago Law School. He’ s a prominent Jewish-American professor and entrepreneur. He was the clinical professor of family enterprises at the highly rated Kellogg School of Management at Northwestern University, where he is also the founder and the co-director of the Center for Family Enterprises and co-founder of the Center for Executive Women. And he is also the founding member of the Kellogg-Recanati International EMBA Project Advisory Committee. Professor Lloyd has served, by gubernatorial appointment, on the Board of the prestigious Illinois Institute of Entrepreneurship Education. He also serves on Boards of Directors of private and public companies. Professor Lloyd is an internationally renowned expert on entrepreneurship and a corporate leader mentor. He has interviewed more than 200 of the world's most successful entrepreneurs, including the founders of Starbucks, Staples, Costco and even the Senior Adviser of Barack Obama, the former U.S. President. He is the author of the best-selling book Entrepreneurs Are Made, Not Born, published by McGraw-Hill and translated into seven languages; Invent, Reinvent, Thrive, published by McGraw-Hill; and Visionarie$ Are Made, Not Born. He is now on a case study of succession in a family business and has done case studies in entrepreneurship (pricing the sale of a business; planning exit strategy) for the Kellogg School. He has taught courses, lectured and spoken in China, Japan, Thailand, Canada, Israel and throughout the United States. 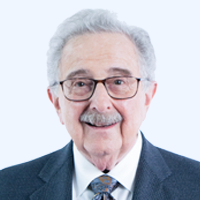 Professor Lloyd has received great amounts of honors, including Entrepreneur of the Year Award from Ernst & Young and Merrill Lynch for his support in entrepreneurship; the Civil Rights Award from the Anti-defamation League; the Industrialist of the Year Award from the America-Israel Chamber of Commerce; and the Award of Excellence from the Sports Lawyers Association. He advises entrepreneurs on a broad range of legal, financial and business matters, including public and private capital funding, mergers and acquisitions, employee motivation and expansion. He also counsels family businesses on succession, governance, employment, philanthropy, family education, etc., and was also invited to give lectures on his experience in numerous top business schools and alumni events, including Harvard University, the Wharton School of the University of Pennsylvania and Peking University. Professor Lloyd delves into various academic fields, including Entrepreneurs and Securities, Entrepreneurs and Bankruptcies, Family Succession and Cultural Inheritance, and Family Enterprise Governance. Entrepreneurs and Securities, Entrepreneurs and Bankruptcies, Family Succession and Cultural Inheritance, Family Enterprise Governance. 2.1 What is a Visionary? 2.2 Who is and Who is Not a Business Visionary? 3.1 Why Important to be a “Business Visionary”? 3.2 Can Anyone Become a Business Visionary? 4.1 What is Forest and Trees Vision? 4.2.13 Case Study – Ross Perot Sr. and Ross Perot Jr.
5.1 What is Beyond-the-Eaves Vision? 5.2.4 Case Study – Ross Perot Sr. and Ross Perot Jr.
6.1 What is Trend Pattern Vision? 6.2.2 Case Study – Ross Perot Sr. and Ross Perot Jr.
7.1 What is Retro Vision? 8.1 What is Rapid Action Vision? 8.2.3 Case Study – Ross Perot Sr. and Ross Perot Jr.